Whether flipping cover or dragging rocky terrain the Berkley Powerbait Rocket Craw is built for the job. Featuring cut tail like claws which generate a lot of vibration as the lure falls or is swam and a beefy yet streamline body that holds an array of hooks. 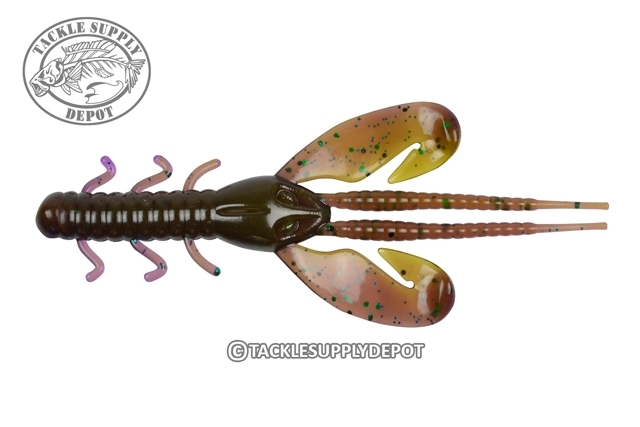 The Rocket Craw can be fished on its own or as a jig trailer and offers realistic looks as well as high performance. Originally part of the Havoc line this lure has now been added to the Powerbait series with the addition of the proven Powerbait scent and flavor that fish hold on to.